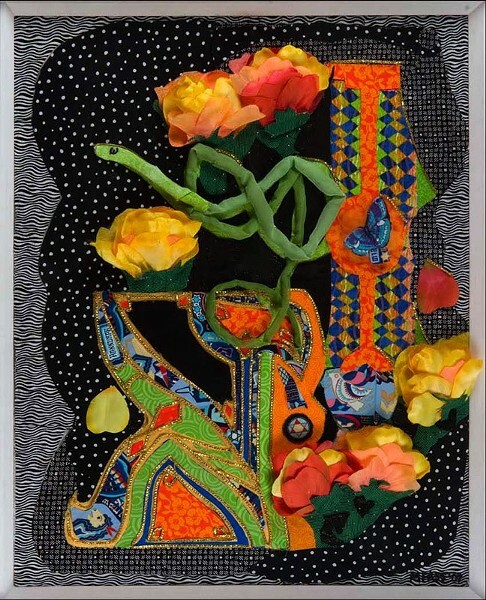 ART | "Things Which are Not Seen"
Rochester-based artist and New York Figure Study Guild founding member Margot Fass creates vibrant mixed media works that combine painted figure studies and portraiture with photos, colorfully patterned paper and fabric, and beads. The resulting work is whimsical and joyful, but Fass often includes serious messages about love and ecological preservation. She's passionate about endangered species, with a specific focus on frogs, and she's also illustrated a children's book, "Froggy Family's First Frolic!" Through February 24, check out an exhibit of Fass's work, "Things Which are Not Seen," at Gallery Q (100 College Avenue). Gallery hours are Monday and Friday, 9 a.m. to 5 p.m.; and Tuesday through Thursday 9 a.m. to 8 p.m. For more information, call 244-8640 or visit gayalliance.org. Preview her work at margotfass.com.